SEO Outsourcing means hiring of a different company or individual to do search engine optimization for a website. This is a way in which a company will ask services from a third party company to support them in their website to enhance traffic. This also comes with offshore outsource resolutions. SEO Outsourcing services are outsourced for cost saves and time saving. 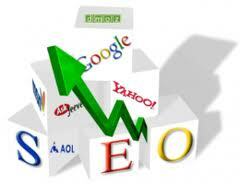 The company which outsources its search engine optimization services to other supplier recognized as SEO outsourcer. This is important to create maximum benefits to the website. Your site needs SEO Outsourcing when you need to enhance the sales leads of your website.